Beautiful New boots from Miel now available at The Deck. Demos available to try. There are Male and Female options to purchase, just look for the symbols on the box, to know which one to buy. Two colour packs full of options. 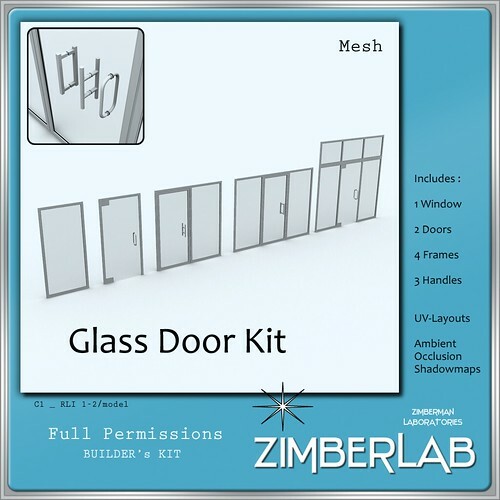 New builders kits in Mesh from ZimberLab , sliding doors, full scripts included. 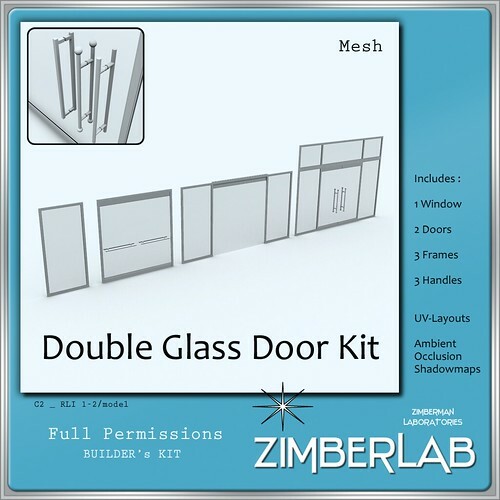 Come and check out the displays of these and the other great ZimberLabs full perms Mesh kits. Tomorrow is the last day of My Attic for this session, make sure you come and grab all the 95L goodies before they are gone. Beautiful new AO now available to see at SLC Body Language, there are test stands for many of their wonderful AO’s for Men and Women set up in the store. While you are checking out SLC make sure and stop by My Attic. 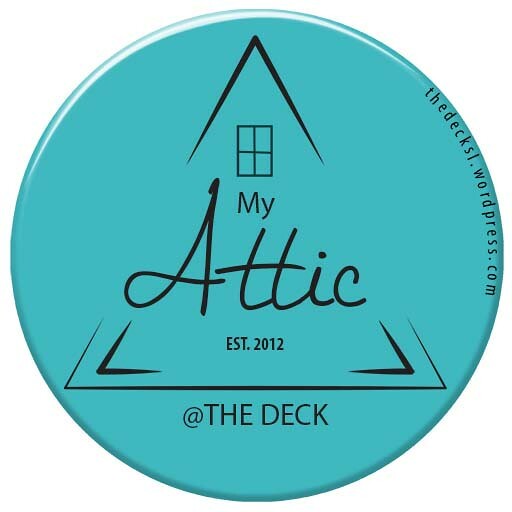 The My Attic Event @ The Deck is now OPEN to all. Only a few days left until the 31st, so do not miss out on the incredible bargains that this event has available. Come and enjoy all My Attic has to offer . Also a reminder that aDORKable Poses is having a 50% off SALE, not to be missed, as they have incredible poses and props. Two NEW Hairstyles by EMO-tions are now at The Deck. Click the TP and come and try the DEMOs. Also don’t forget EMO-tions has a wonderful hair out for the My Attice event still available at My Attic @ The Deck for only 95L. 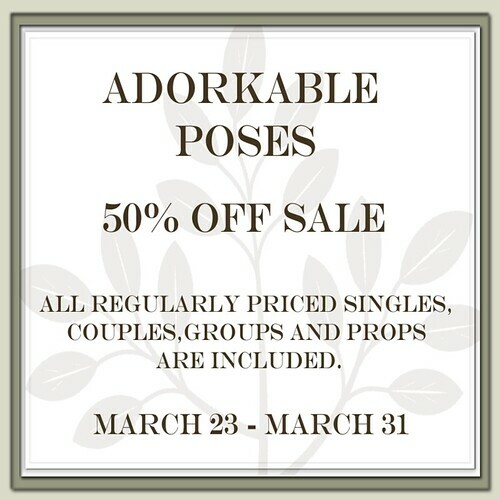 50% off sale at the Adorkable Poses mainstore from March 23 – March 31. Everything in the store is included except for the discount room. All singles, couples, groups and props at half price…do not miss out on these amazing deals, and remember aDORKable also has two pose sets for only 95L at the My Attic location next door to their Mainstore. Demo stands are set up so that you can try everything, and this is a chance to build on your collection of poses at a great discount. Also all aDORKable poses include their mirror poses, so that you get the reverse pose included, it is awesome. 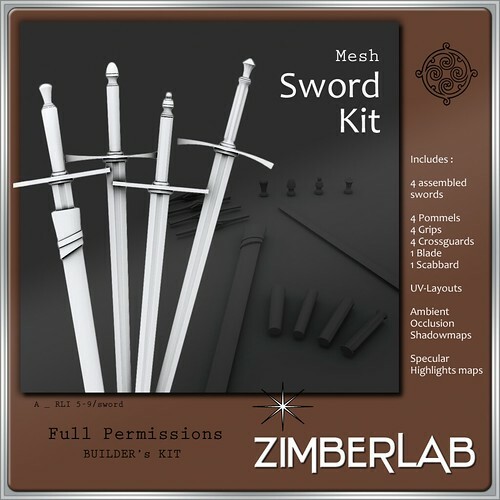 ZimberLab has an amazing NEW MESH Sword Kit now available at their Mainstore @ The Deck. These items are full perms building kits, and you also get the sword in full or in parts, that make it easier to use for other items. Wonderful Full Perms Mesh kits for building also available, come and see the displays. 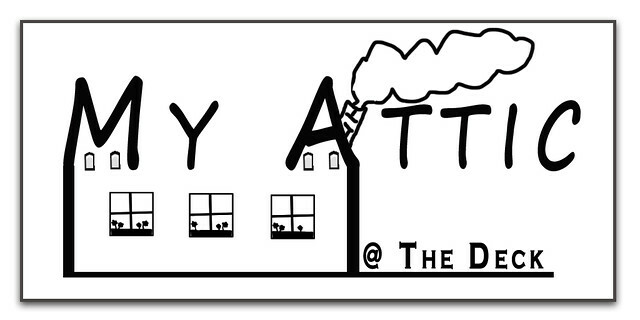 Also another reminder to join us at The Deck for the My Attic event that is on NOW until 31st of March. New Stunning Mesh Hair now available with DEMOS at The Ploom store @ The Deck. Also wonderful New Poses by Ploom with a demo stand to try them out. I am excited to Announce that on the 21st of March until 31st of March, The Deck will be host to MY ATTIC. Featuring Designers from The Deck and 2 Special Guests. More info to follow but mark your calendars and be sure to stop by and join us.